Thank you for choosing Signing America for your signage needs! We are pleased to have served Contractors, Building & Property Owners, Homeowner Associations, and Cities among other satisfied customers since 1987. 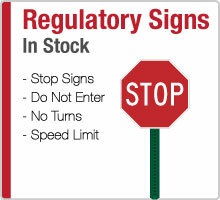 Signing America inventories a wide variety of Traffic signs, posts, brackets and related products. 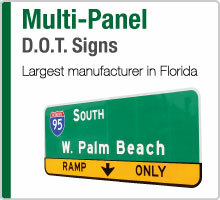 All of our products are made to meet the specifications of the MUTCD and the FDOT design standards! We are the largest manufacturer of Multi Panel D.O.T. Signs. 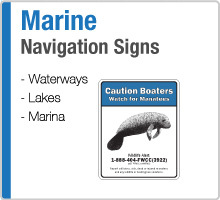 We also specialize in Traffic Sign assemblies, Turnpike Signs, Roadway Signs, and more. Signing America has built a great reputation among permanent highway sign contractors due to our ability to deliver the highest quality product on often tight deadlines. 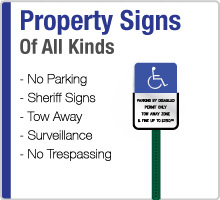 No Parking Sign Towing Boot w Symbols 18"x12"
Handicap Parking Sign Florida FTP-20-06-18"x12"